Protect your business vehicles and your employees on the road with Encore’s Small Business Fleet Roadside Assistance Plans. We offer affordable rates, comprehensive coverage, and customizable commercial fleet roadside assistance plans to help you get the most coverage for your money. Whether you have two converted mini-vans that deliver gifts in a single city or two hundred food trucks that travel in multiple states, our fleet emergency roadside services have you covered. We provide roadside assistance for a variety of small commercial vehicles, and we offer unparalleled small business fleet services. Our unique small fleet roadside assistance plans are designed to protect you, your employees and your company’s bottom line. We’ll customize the plan to meet your specific needs based on your vehicles, your budget, and your business. Whether you have a fleet of two or a fleet of 200, we can create a plan that will work for you. You choose the amount of coverage to satisfy your small business fleet management needs. Do you only need a 25-mile towing maximum for your fleet vehicles? Or would you prefer to have 50 miles? 100? We can do that. Worried about whether a tow truck can handle your company’s vehicles? Our small fleet roadside assistance providers can accommodate various types of vehicles, whether your business runs on small sedans or heavy-duty delivery trucks. And our flexibility doesn’t stop there. If one of your small commercial vehicles is broken down right now, we can still get you covered and taken care of immediately. Our instant Encore Now Program provides the same comprehensive coverage without the usual three-day waiting period. We’re here for you no matter what. To learn more about our comprehensive and customizable small fleet roadside services, contact our team online, or give us a call at 1-844-6ENCORE (1-844-636-2673). At Encore, our top priority is keeping your drivers safe while on the road. Take a look below at our top tips for year-round small business fleet safety. Keep your emergency kit stocked. When is the last time you looked to make sure your emergency kit was fully stocked, assuming you have one? Making sure it is stocked is important. At a minimum, you should have extra blankets, a flashlight and batteries, non-perishable food items, bottled water and an extra pair of shoes or boots. Batteries have a life cycle of 48 to 72 months. If you are nearing the end of your batteries life cycle, don’t wait for it to die. Replace it now. If your battery is in good shape life-wise, inspect it, perform a load test and make sure there are no loose or exposed wires. Look at your fuel filters. Take a look at your fuel filter. If it looks like it needs to be replaced, put a new one in. Look at the fuel and water separator. If it looks like it is in good condition, be sure to drain it of water. There is some controversy as to whether or not fuel additives are really worth it, but they definitely don’t hurt. Err on the side of caution and anti-gel fuel additives to enhance your engine’s performance. Your owner’s manual should have guidelines as they pertain to these type of additives. You will need to follow the guidelines exactly to prevent causing damage. Install engine warmers in the winter. Have you taken the time to install an electric block warmer yet? If not, now is the time. A diesel engine is much harder to start in cold weather than a typical gasoline-fueled vehicle. Install an electric block warmer to keep your engine warm when you aren’t driving. What can roadside assistance do for me? No one wants to be stranded on the side of the road. When people think of roadside assistance, they most often think of passenger vehicles, but truckers need help, too. A commercial roadside assistance policy is important no matter what type of vehicle you drive. Whether you need assistance on an urban road or a rural highway, you know that help is just a phone call away. You don’t have to worry about contacting various agencies or be concerned with how you will get back on the road. In addition to assisting you in the events listed above, many commercial roadside assistance policies provide discounts on hotels, shopping and more. These discounts can save you hundreds, especially if you spend weeks on the road. You may think that roadside assistance is something that you don’t need to be concerned about as a truck driver, but we disagree. Even with appropriate maintenance, your rig may leave you stranded in the middle of nowhere. It’s important to know that you aren’t alone. Why are ELDs hurting small business owners/truckers? The electronic logging device mandate will force all truckers to implement devices that will automatically log hours of service records. In theory, this would lead to an easier and more efficient process for drivers with fewer errors. However, at this stage in the development of ELDs, it’s not clear that they will automatically guarantee compliance. The systems are expensive, require additional training on the part of the drivers, and pose cybersecurity risks with untested programs. The hardship of being mandated to implement ELDs hits small business owners and truckers the hardest. The costs associated of bringing in new systems will be much more difficult for a small business owner to meet, and the untested nature of the industry means that the huge investment may not protect the business from being in non-compliance. For this reason, the Owner-Operator Independent Drivers Association has asked for a five-year exception of the ELD mandate for their members with safe driving records. When does Entry-Level Driver Training (ELDT) become Mandatory? The Entry-Level Driver Training (ELDT) revises the mandatory training requirements for entry-level operators of commercial motor vehicles (CMVs )who are required to possess a Class A or Class B commercial driver’s license (CDL). The compliance date of the ELDT rule is February 7, 2020, which is nearly three years after the rule’s revised effective date of March 21, 2017. The three-year phase-in period gives the States enough time to take the necessary steps to modify their information systems. The three-year phase-in period also allows ample time for the CMV driver training industry to develop and begin offering training programs that meet the necessary requirements. The rule establishes minimum training requirements for entry-level operators of CMVs in interstate and intrastate commerce who are applying for a Class A or Class B CDL, an upgrade of their CDL, or a hazardous materials, passenger, or school bus endorsement for their license for the first time. The ELDT requirements do not apply to individuals holding a valid CDL or a P, S, or H endorsement issued before the compliance date of the final rule. The rule does not create any new exceptions; therefore, any individual who is currently excepted from taking a skills test in order to obtain a Class A or Class B CDL or a P or S endorsement is not subject to ELDT. Have another question not included in our FAQ? 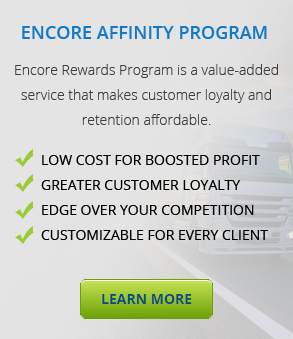 Contact our team today to learn why more and more businesses are choosing Encore’s commercial roadside assistance!